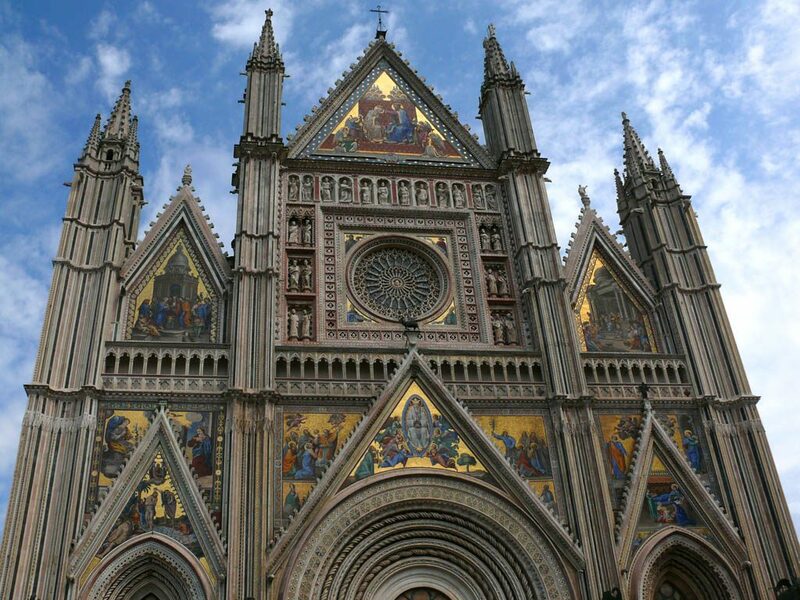 Orvieto and Assisi private tour from Rome – Leaving Rome by the “Highway of the Sun” we travel to Orvieto situated on high volcanic tufa cliffs overlooking the Tiber river and idyllic natural landscapes often portrayed by renaissance artists in frescoes and masterpieces. This quaint medieval hill-town with its intricate alleys and streets bordered by houses constructed of tufa blocks, is fascinating to browse through and to discover surprising local artisan products such as ceramics, wrought-iron ware and antiques. The Orvieto and Assisi private tour from Rome continues with the visit the magnificent 13th century Gothic Cathedral containing priceless treasures or simply enjoy the laid back atmosphere of the town. 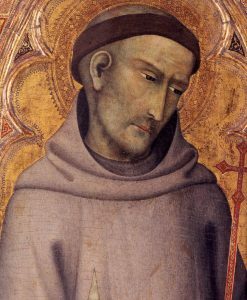 Continue your trip through the celebrated valleys and hills of Umbria province, known as the green heart of Italy, passing picturesque hill-towns like Todi, Spoleto and Spello and reach mystical Assisi, birthplace of St. Francis, the founder of the Franciscan monastic order. The town situated on slopes of Mt.Subasio conserves in its ancient walls many roman edifices which shoulder middle age rose-stone towers and noble palaces and winding cobbled-streets with disappearing flights of stairs. Everywhere, tiny gardens and balconies overflowing with blooming flowers add colour and scents to this peaceful and spiritual town. Spellbound and silent by so much beauty visit the Basilica of St. Francis frescoed with the famous masterpieces of Giotto, Cimabue and Simone Martini and see the tomb of the most loved saint of Italy and Monastry where monks from all over the world live in peaceful bliss. After exploring the the tiny stores of the old city and trying the typical local dishes descend to St.Mary of the Angels to see the Porziuncola, a tiny chapel built by St. Francis himself in 1220 and visit the monastery where he died in 1226 and here about the unusual events that took place on the day of his death. In the late afternoon return to Rome. End of Orvieto and Assisi private tour from Rome.